The Borgata Hotel Casino & Spa in Atlantic City has been serving as a lifeline for the struggling town as of late. The land-based destination is also leading the way online, which is why rumors of the casino considering a change for its interactive gaming software supplier could certainly shakeup the market. Since the market’s legalization in 2013, the Borgata’s online casino and Internet poker room has been operated in conjunction with bwin.party. According to eGaming Review, that might soon change due to bwin.party’s $1.7 billion acquisition by GVC Holdings. It’s unclear whether the New Jersey Division of Gaming Enforcement (DGE) will void bwin’s operating license or allow it to transfer to GVC. 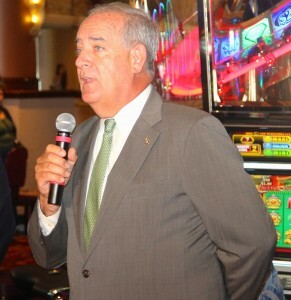 The DGE hasn’t released any statements on the issue, but by all signs Borgata executives are preparing for the worst and lining up potential replacements. If the DGE is smart, it will do everything in its power to keep Borgata’s online casino up and running. Of the $148.8 million in gross online gambling revenues received in New Jersey during 2015, the Borgata accounted for 31 percent with $45.6 million. Slots dominate online casino revenues, as Internet poker rooms garnered less than $24 million of the $148.8 million total. According to PokerScout, the WSOP/888 room averages more players than Party Borgata, but as it relates to revenues, the difference is marginal. Atlantic City’s economy has collapsed over the last few years. As casinos in nearby states opened their doors, four in New Jersey closed. The state is now in the process of taking over the city’s finances and will soon dictate its recovery from the capital in Trenton. That’s why most believe vacating bwin.party’s license would be a dubious move on the part of gaming officials. GVC says it fully expects the DGE to authorize its company to commence operations in New Jersey and continue the bwin.party partnership with the Borgata. However, not everyone is convinced. While DGE boss David Rebuck will certainly be motivated to keep bwin active in his state, there are reasons for concern that he isn’t expected to take lightly. GVC has a history of operating in unregulated iGambling jurisdictions around the world. The company also owns brands that have been blacklisted in certain countries due to gray market activities. Rebuck is fresh off a comprehensive review of another former so-called “bad actor.” His agency’s exhaustive licensing process of PokerStars took some two years before receiving his stamp of approval. No online gambling entity was more notorious for operating illegally in the United States following the 2006 passage of the Unlawful Internet Gambling Enforcement Act than PokerStars. It seemed the return of the most utilized iPoker network in the world was slim to none just several years ago. But after interviewing 80 different people in numerous countries, Rebuck came to the conclusion that PokerStars, which had been acquired by Amaya since it departed the US, was a viable operator who would adhere to the state’s regulatory directives. GVC’s alleged rogue operations pale in comparison to PokerStars, which is why many believe Rebuck’s division will allow the bwin.party license to transfer or quickly process a revised agreement.